Misawa Air Base is located on Japan's main island, Honshu, in Aomori Prefecture. The US Air Force, US Army, US Navy and Japanese Self-Defense Forces work jointly on Misawa. The 35th Fighter Wing of the Pacific Air Forces serves as host wing. 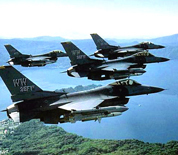 Various operations take place on Misawa including daily F-16 flights and satellite communications coverage. This Misawa AB directory features the critical info you’ll need to navigate through the many facilities and recreational opportunities available on base.